Father's Day is always part of a very special weekend. We have not yet finalised our plans for 2019, but so far we can confirm that the plan is to have two trains in operation, a steam train on the main set and a heritage diesel which will be hauling our catering train offering cooked breakfasts, real ale and Afternoon Teas. 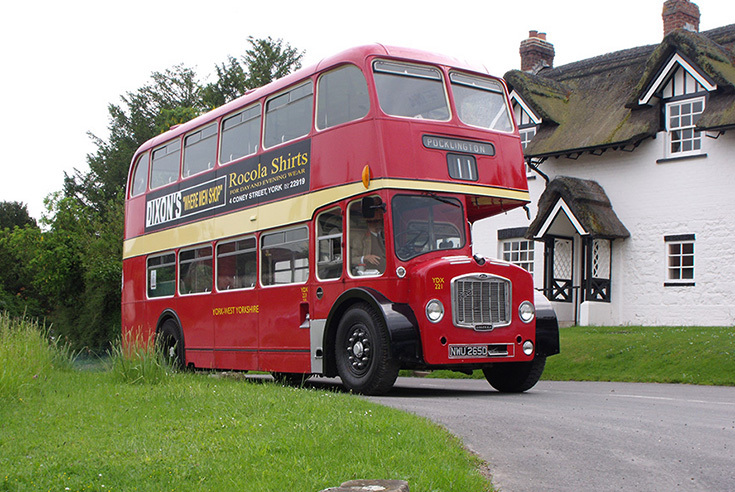 Cab rides (£50) are also available in our heritage diesel. We expect the Box Van Bar to be open too and possibly other attractions. 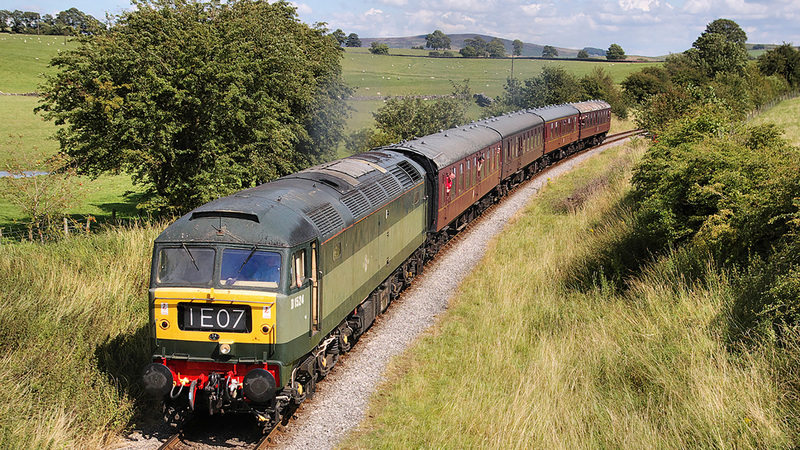 The heritage diesel will be our classic 1960's English Electric Heritage Class 37 diesel locomotive. PLEASE NOTE: Demand for our cab rides, afternoon teas and cooked breakfast trains always exceeds supply! They will sell out and so early booking for these trains is essential. Click through to our ticketing section to purchase your Afternoon Tea tickets now. 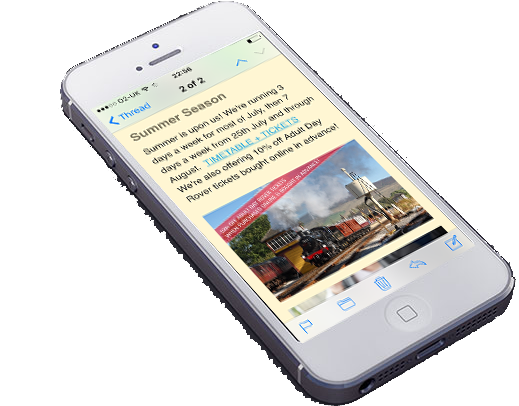 Cab ride tickets will be on sale later once the maintenance plans for the locomotives have been finalised, or add your details to our newsletter list, below to be kept up to date. 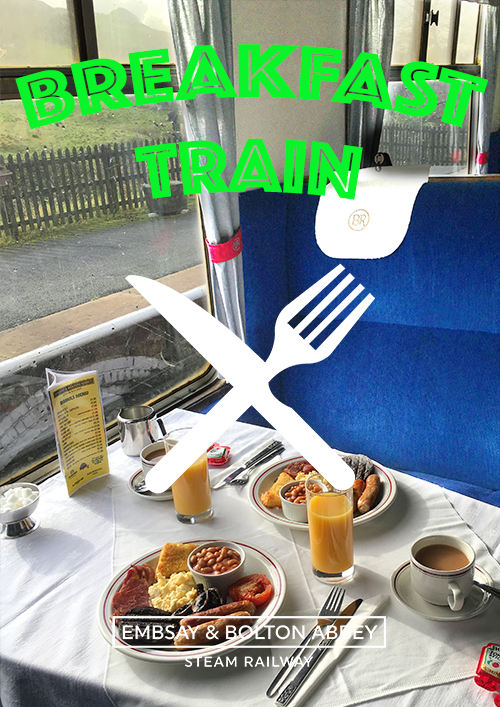 We’ve got cooked breakfasts available on the 9.30AM Dales Dining Train from Embsay and the 10.30am Dales Dining Train from Bolton Abbey. If you book a cooked breakfast, you will have plenty of time to eat your cooked breakfast at your leisure. If you wish, you can remain on the train for the return journey too (or you can catch a later train back). If you’re buying a cab ride, the cab rider(s) can also purchase a £7 supplement (in the Father’s Day Cab Rides section) so they can enjoy a cooked breakfast too. This would be perfect (for example) whereby the Father has a cab ride, the rest of his family enjoy a cooked breakfast in the train behind, and then the Father joins the rest of the family for the return leg of the journey who are still enjoying their cooked breakfast. Or maybe you’d like to enjoy breakfast together? Father could depart for the cab ride whilst the family ride in the carriages behind, and then for the second half of the journey you all sit down and enjoy breakfast! We’ve got afternoon teas available on Dales Dining Train between 12.00 and 15.00. If you have a cab ride booked, you are also welcome to join us for an Afternoon Tea too – just purchase the supplement (£15) in the Father’s Day Cab Rides section. If you are travelling with a group, then the rest of your party will need to buy the normal Afternoon Tea tickets (£26 adults, £20 children). Someone going for a cab ride? 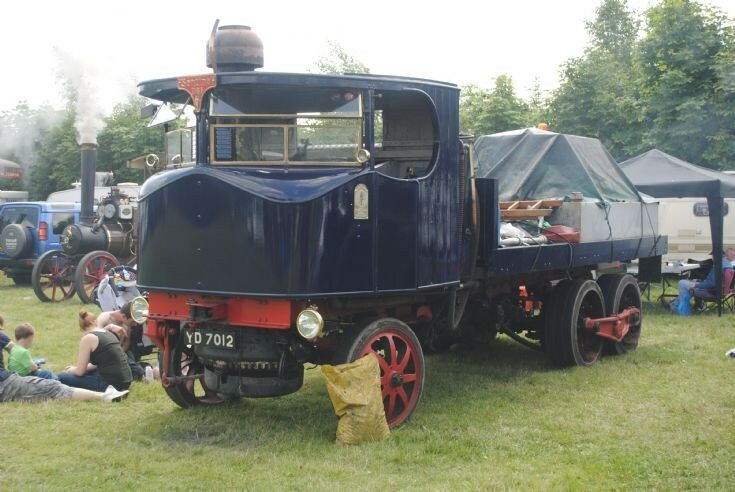 Suggested itinerary (1): Cab rider(s) travels in the cab one way (12.00, 13.30 or 15.00), whilst the family group travel behind in the train enjoying Afternoon Tea. On the return journey the ‘cab rider(s)’ join the rest of the group for Afternoon Tea and hope that they haven’t eaten it all! (The cab rider(s) would only have half a journey to eat their Afternoon Tea). 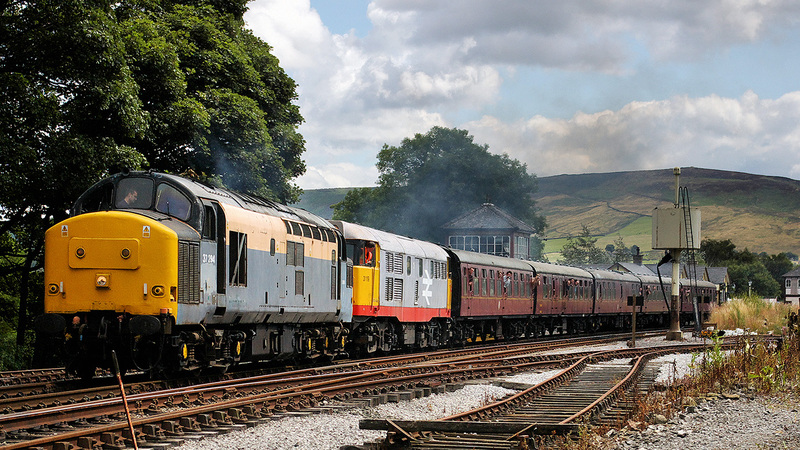 Suggested itinerary (2): Cab rider(s) travels in the cab (11.10, 12.40 or 14.10 from Embsay), whilst the family group travel behind in the train. Then the whole family re-convenes to enjoy Afternoon Tea together (on the 12.00, 13.30 or 15.00 respectively). You then take the train back (again) to your starting station. Suggested itinerary (3): The the whole group enjoy Afternoon Tea together (on the 12.00, 13.30 or 15.00 respectively) but half way through the cab rider(s) leave the Afternoon Tea and go for their cab ride (on the 12.40, 14.10 or 15.40). The cab rider(s) may not have time to enjoy all of the delights of the Afternoon Tea however – more for the rest of the family? 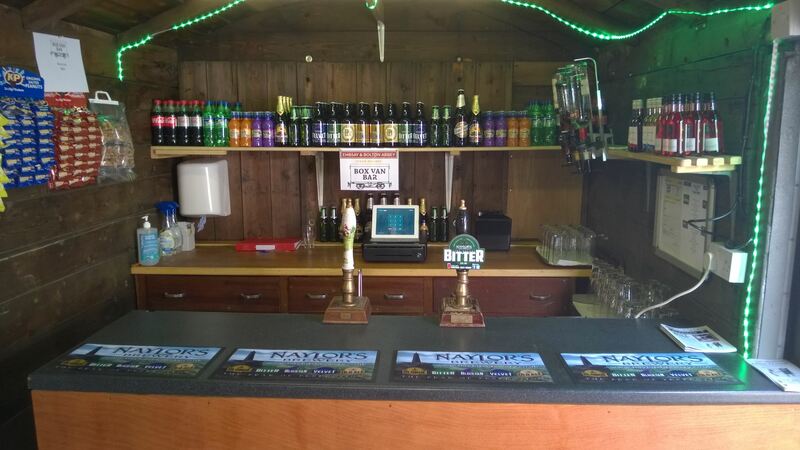 Our Box Van Bar is in Embsay car park, serving a range of cask ales, bottles of real ale from a local brewery, wine, cider and kids drinks from 11:00am at Embsay. 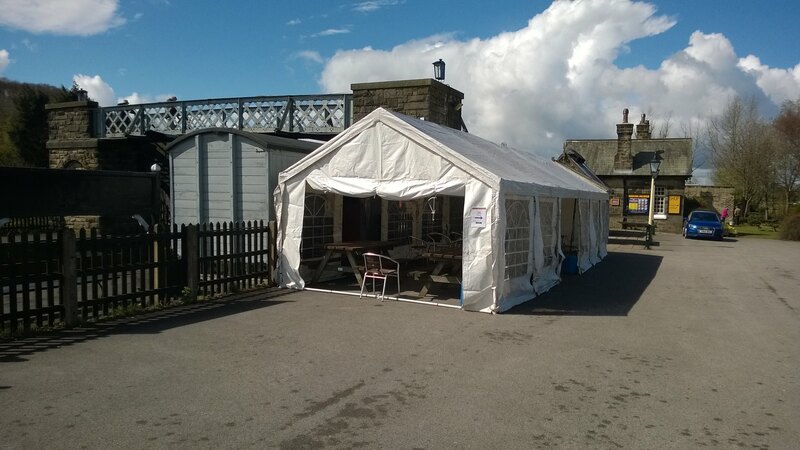 There are also refreshments at Bolton Abbey station and hot food available at Embsay Station. It’s Raw. It’s Powerful. It’s Noisy. It’s Industrial. And Dad will never forget it! He can forget his V6 parked in his driveway! 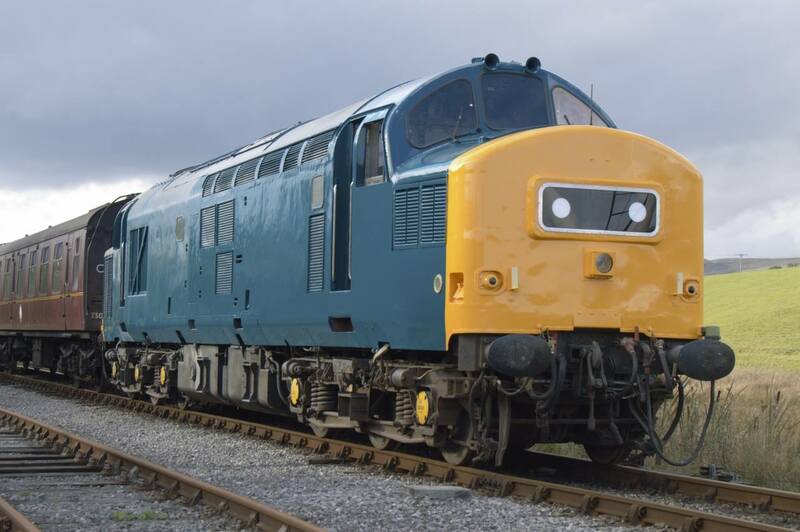 Our engine's nearly 2,000hp, and on Dad’s special day, Sunday 17th June 2018, he can enjoy a cab ride in a heritage diesel locomotive for just £50! Nothing beats travelling in the cab of an historic class 37 diesel train from the 1960’s - just a few feet away from the powerful English Electric 12-cylinder engine. The locomotive was designed to haul heavy trains round the country in the 1960’s, and at 100 tons, it’s the heaviest working locomotive on the railway - no wonder this class of locomotive have the nickname 'Tractors'! Whilst you're upfront in the cab, hearing the roar and feeling the vibrations as the historic engine kicks into life, the rest of the family can ride in the tranquility of our historic coaches behind, as Dad and the locomotive pull the train through the Yorkshire countryside! Embsay & Bolton Abbey Steam Railway mug and certificate. Please note, due to limited room, we can only take two people per trip from each station. *The 17.00 from Embsay will not return to Embsay and if you purchase a cab ride to travel on the 17.00 departure, you must ensure you have already travelled from Bolton Abbey on an earlier train - no later than the 16.30 from Bolton Abbey. For tickets, click through to our ticketing system and choose 'Father's Day Cab Rides' or standard 'Day Train Tickets' of 'Afternoon Tea' tickets from the drop-down menu.